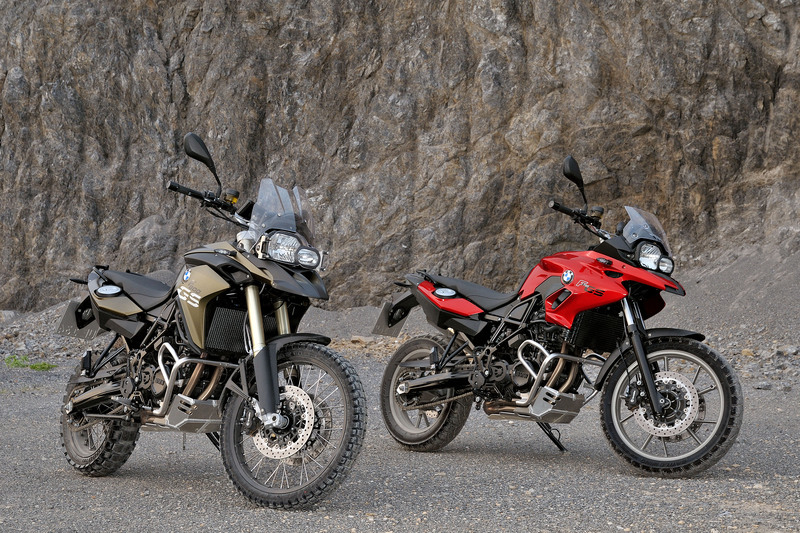 In the Enduro Class of the brand BMW Motorrad are presented two new models: the BMW F700GS and the BMW F800GS. Both models come up with some new features and improvements. 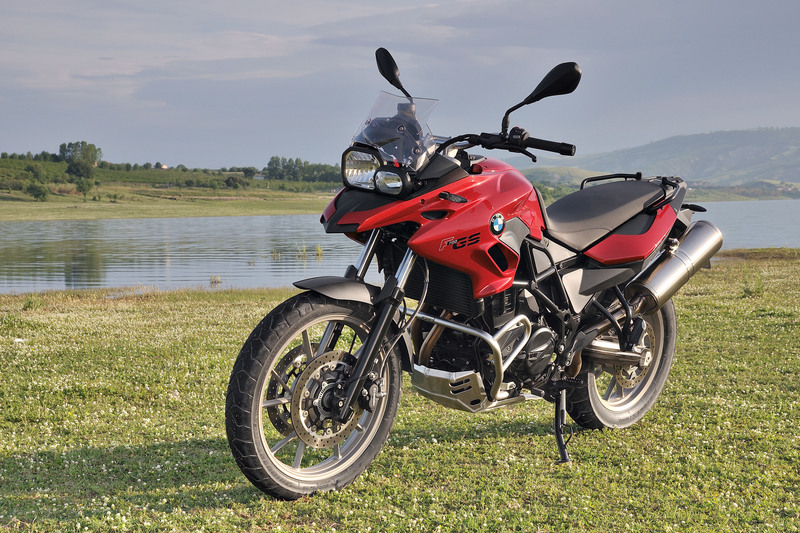 The BMW F 700 GS appeals prospectively motorcyclists, who are fewer drive in the off-road sektor, but estimate a good Allrounder with a suitability for daily use. Furthermore, the 700 GS offers more power of 55 kW (75 hp) at 7,300 rpm and 4 hp more than their predecessor model F 650 GS with 77 Nm at 5,500 pm with a fewer fuel consumption and a shorter overall gear ratio. A Novelty is the double disc brake and a steel frame in tubular construction, which integrated the engine as a load-bearing element. The rear frame consists of square steel tubing. Unchanged remains the aluminium double-sided swing arm and the wheels and tires. 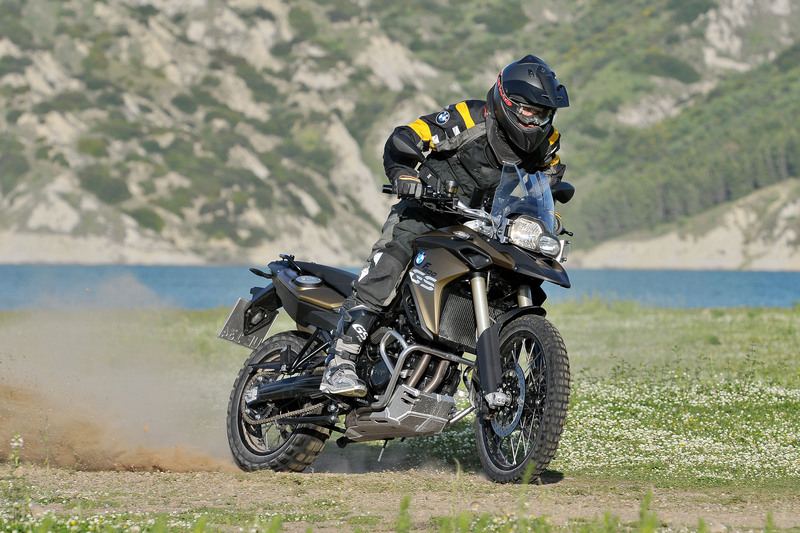 The F 800 GS is usable in the offroad-, street- and tour-sector. It is a versatile enduro for all situations. The power amounts to 63 kW (85 hp) at 7,500 rpm with a maximum torque of 83 Nm at 5,750 rpm. At this new model you can deepen the landing gear by request in combination with a lower seat belt to achieve a lower seating position. This is available as ex works option or special accessory. Furthermore, there is mounted a double disc brake at the front wheel such as the newest Generation of the BMW Motorrad two-channel ABS. Both motorcycles are fitted with ABS, ASC (Automatic Stability Control) and optional with ESA, according to the principle of "security 360°". The engine is a liquid-cooled four-valve twin-cylinder with an electronic fuel injection, a regulated catalytic converter and a six-speed gearbox. The spontaneous response behavior and the excellent power development are only some advantages of the new models. Besides these changes was also used an additional connecting rod , which compensates the inertia forces in first and second order and reduces the vibration of the engine. The Electronic Suspension Adjustment ESA is available as option ex works and the motorcyclist can choose between three different settings with a simple touch of a button. Depending on the route and the driving performance, there are the variants "Comfort", "Normal" or "Sport". Also available as option ex works is the Automatic Stability Control ASC, which prevents the break-out of the rear wheel. That guarantees more safety while driving. Novelties are also the improved switch units, that are better to handle because of the changed design. The cockpit is equipped with new dial faces, which are more visible and the digital display gives the driver more information about the fuel level and the coolant temperature. The lighting is visually balanced by smoky gray turn signal lenses and a smoky gray glazing of the LED tail light. A more striking appearance is given by new side trim sections and because of the new beak and front mudguard. 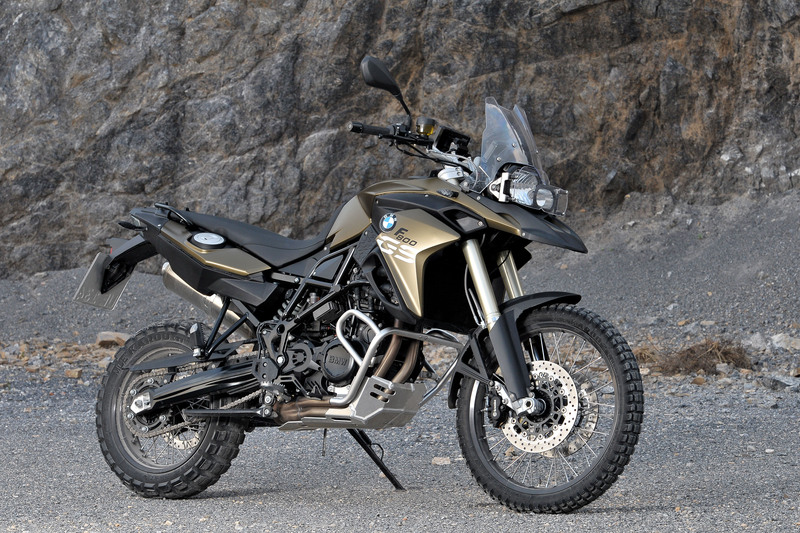 Furthermore, BMW Motorrad offers a bigger range of colors and lettering for both models. Now the revised BMW models of the F-series appear visually more mature and more concise.